Sermon on Mark 9:30-37 offered to the people of the Church of the Heavenly Rest on Sunday, September 23, 2012. Just over ten years ago, John Cusack starred in a movie that cemented his role as a quirky, romantically frustrated leading man with a penchant for narrating the events of his own life. 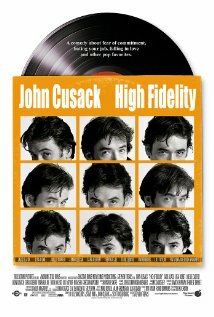 In High Fidelity, Cusack plays an unlucky-in-love record storeowner who finally learns what it means to be in a relationship. Apart from a great soundtrack, the most memorable part of High Fidelity is the fact that Cusack’s character describes nearly everything in his life in terms of a “top five” list. Throughout the movie, he lists his “top five breakups of all time,” the “top five songs to play on a Monday morning,” his “top five dream jobs,” the “top five things he misses about his ex-girlfriend,” the “top five songs about death,” and my favorite, the “top five musical crimes perpetrated by Stevie Wonder in the ‘80s and ‘90s.” The main character in High Fidelity sees the world as a place that needs to be quantified, where things need to be put in order so that they can be understood. But he is by no means the first person to think in these terms; human beings love to put things in order, we love to rank things from least to greatest. On sports radio, pundits argue over how football teams should be ranked, whether this or that team deserves to be number one. At the end of the school year, there’s always a mad dash to determine class rank; based on hundredths of a point, school administrators decide who is going to be the valedictorian. Even on a larger scale, it’s easy to start describing things in terms of how they compare to other things; after all, how often during this election season have politicians on both sides of the aisle said that this is the most important election of our time? We love making lists, we love making comparisons, we love determining what is best or what is most important or what is most valuable because we are trying desperately to make sense of a world that so frequently seems senseless, because we are striving to comprehend a world that often seems to be beyond our comprehension. I would suggest that this is what the disciples are doing in our reading from Mark’s gospel today. They have given in to this very human impulse to make sense of the world as they have encountered it; they want to put things in order, they want to figure out who ought to be in charge. This is one of the great moments in Mark’s gospel. You can just imagine the scene: Jesus is walking along the road, lost in contemplation. Meanwhile the disciples are following at a distance, speaking in hushed tones so they don’t disturb their teacher. Gradually, their debate becomes more spirited; the disciples talk more and more excitedly until their voices can be heard from a great distance. When they arrive at Capernaum, Jesus’ first question is “What were you talking about back there?” The disciples know they’ve been caught, and they look at each other sheepishly, like children caught with their hands in the cookie jar, before they finally admit, “We were arguing about which one of us was the greatest.” Now, it would be easy for us to condemn the disciples. This seems to be yet another example of the obliviousness of the disciples in Mark’s gospel. And yet, if we think about it, they were debating a reasonable question. Throughout Mark’s gospel, there are these different circles of people around Jesus. There’s the inner circle of Peter, James, and John; there’s the circle of the twelve apostles; there’s a circle of people following Jesus along the way who aren’t called apostles; and there’s the circle of the crowds: the people who show up whenever Jesus is teaching. Looking at these various relationships, the natural response is to wonder what exactly they mean. Why do Peter, James, and John follow Jesus up the mountain when he is transfigured? Does that mean that they are supposed to be leaders among the disciples? Why is it that Jesus explains his parables to the disciples but doesn’t explain them to the crowds? Does that mean that the disciples are somehow more worthy to understand the mysteries of the kingdom of God? In other words, Jesus himself has apparently set up a hierarchy of knowledge, one that invites the very question the disciples were debating: who among them is the greatest? Who has Jesus chosen for leadership? The response that Jesus gives is striking: “Whoever wants to be first must be last of all and (more importantly) servant of all.” To illustrate his point, he takes a child in his arms. Children in the ancient world were not held in particularly high regard. In fact, the word our version translates as “child” could very easily be translated as “servant.” So, when Jesus takes this child in his arms, he is holding someone of profoundly low estate, someone who certainly would never have a leadership role, someone who is at the very bottom rung of the social ladder. 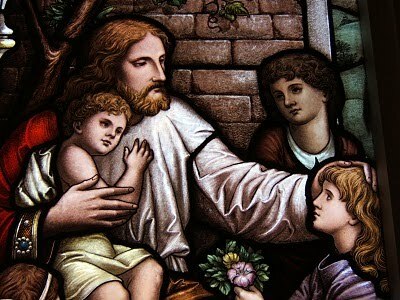 And then, astonishingly, Jesus tells his disciples that they must welcome such children in his name. Now, our understanding of welcoming someone is very different from what a first-century welcome would look like. For us, if we say “hello” and invite someone to sit down, we have welcomed that person. But in the first century, you welcomed people by opening your home to them; you washed their dirty feet, you anointed their dry and cracked faces with oil, they ate your best food, they slept in your bed (while you slept with your animals), and only then had you truly welcomed them. You opened your home and put yourself completely at your guest’s disposal. Jesus, in other words, is instructing his disciples to roll out the red carpet for everyone, to give themselves completely to everyone, especially to those at the very bottom of society. Jesus is instructing his disciples to disregard greatness, to ignore the very thing they had been arguing about. The reason that Jesus does this, the reason that Jesus dramatically illustrates the unimportance of greatness is that Jesus himself forfeited greatness for our sake. Remember that at the beginning of this reading, Jesus predicts that he will be betrayed into human hands, that he will be killed, and that after three days he will rise again. Mark then tells us that his disciples did not understand what he was saying to them. The disciples did not understand that Jesus was giving up his life, giving up everything he had, giving up his greatness for their sakes and for the sake of the world. And so when they begin arguing about who among them is the greatest, they demonstrate how thoroughly they miss the point. In essence, Jesus was telling his disciples that greatness doesn’t matter because he was going to give it up, that he was going to give up everything for the sake of others, for the sake of those who did not deserve it. The logic that Jesus uses is very clear: because I came to give myself for all of you, you are also called to give yourselves for each other. Jesus was not concerned with greatness or status or any of the things that preoccupied the disciples; Jesus was concerned with self-giving service. In this passage, Mark describes the very essence of the Christian gospel: we are called to forfeit our greatness and give of ourselves because Jesus forfeited his greatness and gave himself up for us. This summary of the gospel has enormous implications for who we are and how we live our lives. On one hand, it means that our arguments about what football team ought to be number one are really quite silly, but I think we all knew that. The deeper message is that our preoccupation with rank and status and merit is ultimately contrary to the gospel Jesus came to embody. When we demand something because we deserve it, when we are pleased to receive something because we’ve earned it, when we believe that our status entitles us to certain privileges, we are making the same mistakes that the disciples made. We are ignoring the fact that our Lord came to earth and gave up the majesty of God for the sake of those who were unworthy. More importantly, God came to earth and made all of us worthy, regardless of our rank or our status or our merit. Jesus Christ came in order to show us that we were all equal before God and that we should behave as such. There was a legendary priest in the Diocese of Connecticut whose name was Canon Jones. In some ways, he was the stereotypical Episcopal cleric from the early 20th century. He had a patrician bearing, was always impeccably dressed, and had almost Victorian manners. He could comfortably hobnob with the elites of Connecticut society, but he could just as comfortably counsel a young man struggling with drug addiction. Even as he served as chaplain to some of Hartford’s wealthiest families, he also pioneered ministries with Connecticut’s most vulnerable citizens, because he understood that there was no difference between these people. Regardless of how the world perceived you, when Canon Jones met you he would offer his hand in greeting and say, “How do you do?” In a world that is so often senseless and beyond our comprehension, Canon Jones understood the deep logic of the gospel: that Jesus Christ had made all of us equal before God. Jesus Christ came in order to show us that true greatness is disregarding rank, disregarding status and understanding that all of us have been made worthy by God.